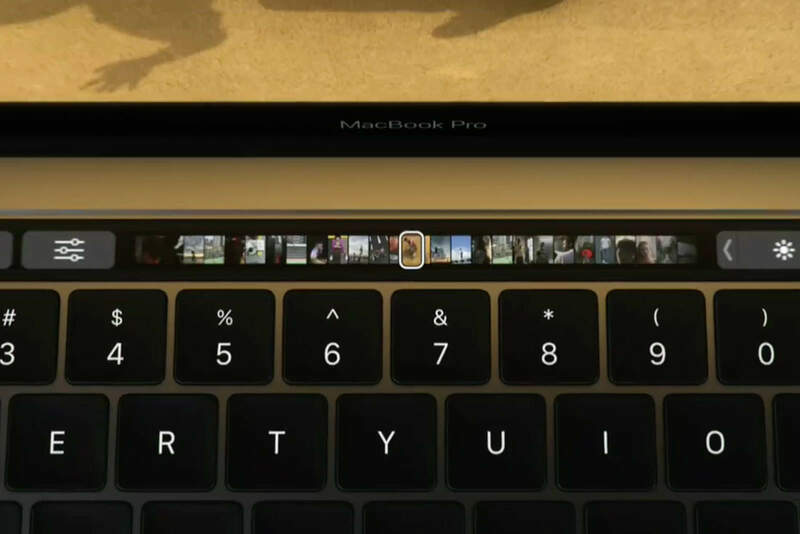 Apple’s new Touch Bar looks like the most exciting new feature we’ve seen on the MacBook Pro in years. 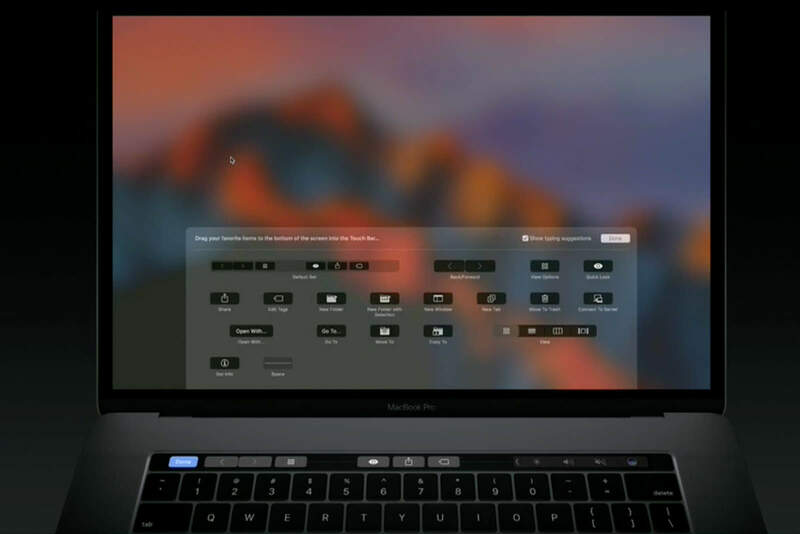 Instead of fumbling to remember shortcuts, Touch Bar puts a handful of commands at your fingertips and dynamically adjusts to whatever app you’re in. That sounds pretty magical, but what will that actually be good for? Developers will need to add support for their apps, so it might take a few months before Touch Bar really takes off. But if you’re doubting the usefulness of having a touch screen bar at the top of your keyboard, here are the cool things you can do on the Touch Bar. 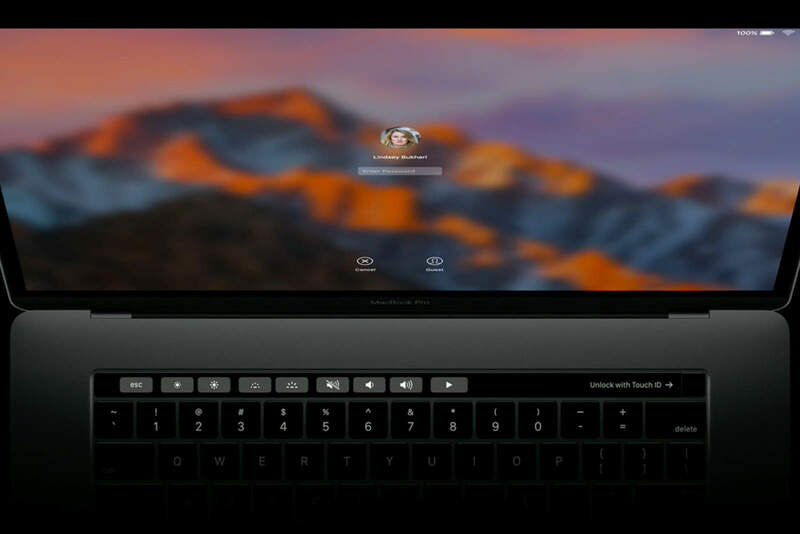 The right portion of the Touch Bar packs a fingerprint scanner. You can use it to buy stuff with Apple Pay now that macOS Sierra allows third-party sites to use Apple’s payment platform. You can quickly switch back and forth between apps from the tabs view on the Tool Bar. The Touch ID fingerprint scanner supports multiple users. Now, instead of logging out so someone else can log in, all they need to do is place their finger on the Touch ID button and the MacBook Pro will automatically switch to their account. Apps like Final Cut Pro offer quick tools that will allow owners to add an effect, trim a clip, adjust audio, or scrub through the video timeline. Both Photoshop and Apple’s own Photos app support the Touch Bar. You can quickly crop or tilt a photo. Sliders can be quickly accessed for brush tools and filters. You can also scroll through your images. The Mail app on macOS Sierra works with Touch Bar so you can quickly reply, archive, delete or move messages. You can accept or decline FaceTime requests or calls from your iPhone if you have Continuity set up. 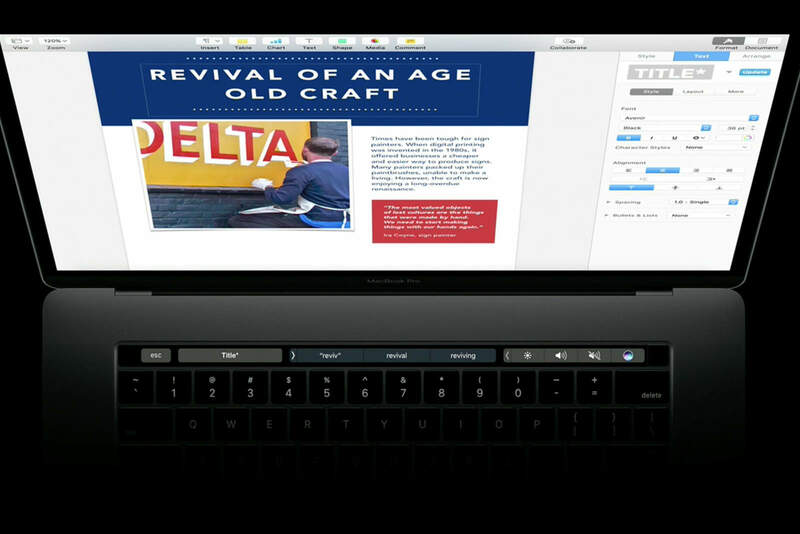 Apple’s iWork productivity suite will support the Touch Bar at launch. Microsoft Office apps support it, too, giving you the ability to adjust text, add pictures and more. Quick buttons to create a new tab, go back or search get added to the Touch Bar when using Safari. Hopefully Chrome and other browsers will add support soon. Apple’s digital assistant is finally available on the Mac thanks to macOS Sierra. With the new Touch Bar, you can summon her with a tap. 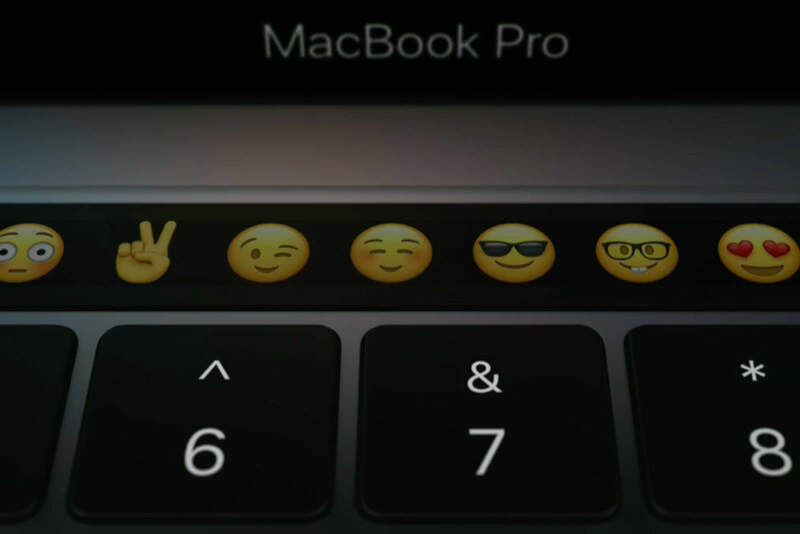 Trying to use emoji on the Mac has been a pain, but with the new Touch Bar you can scroll through your favorites. It will even suggest emoji to replace the words you’re typing, similar to how it happens in iOS 10. All the playback controls you want are right on the Touch Bar so you can skip, repeat, pause or turn up the volume without missing a beat. The best part of Touch Bar is that it can be customized at the system level. If you don’t like the app-specific functions that it automatically brings up, you can switch it up to optimize your workflow.